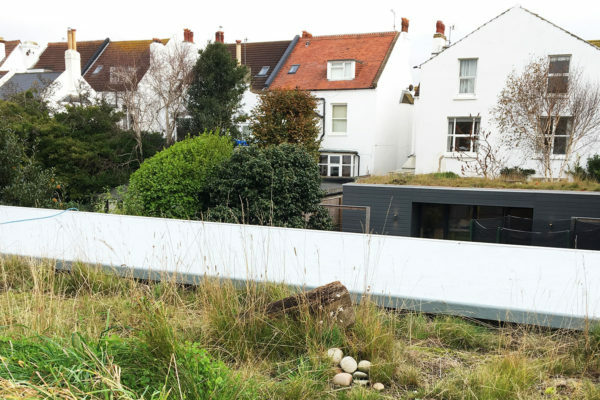 What does a green roof look like in winter? One of the questions that we’re asked most frequently at design stage is what the planting will look like during those times of the year that the plants are not in flower – and especially in winter. Of course, this depends on a number of factors – how long-established the planting is, whether the plants were pre-grown or not, and of course the type of planting you’ve selected. 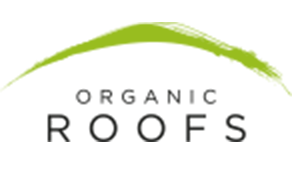 The two most common types of green roof specified for commercial and residential developments are sedum and wildflower. Typically sedum has a more consistent appearance throughout the year compared to a meadow green roof in which volume and evenness of growth fluctuates within and between seasons. This is because the two types of plants – succulents and native UK wildflowers – bloom at different times and to a very different extent. Incidentally, one of the reasons that we tend to prefer meadow roofs is that they provide food sources for bees, butterflies and other invertebrates for a longer part of the year (the other is that windblown invasives tend to disrupt the visual feel of a sedum roof much more quickly and can therefore require reactive maintenance – ‘weeding’, to you and me. Choosing a planting type for your roof is really therefore a question of form versus function: a meadow roof can do more environmentally, and doesn’t need ‘weeding’ all the time when plants blow in on the wind to keep it looking like it should – but the naturalistic look of a meadow doesn’t suit every context, and sometimes a more neat appearance is required. 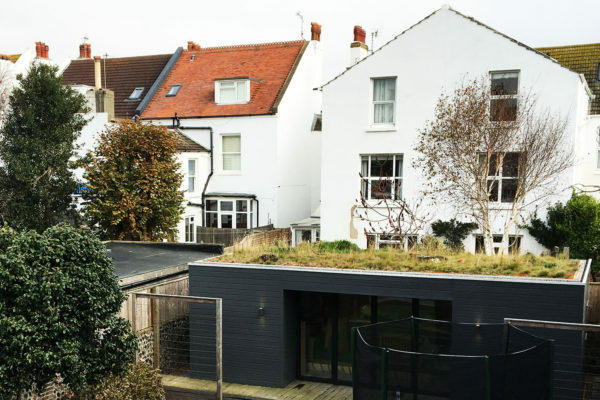 Here sedum comes into its own (although see here for a ‘carpet’ effect that we achieved on a roof replacement in Holland Park, West London – using Mind Your Own Business). 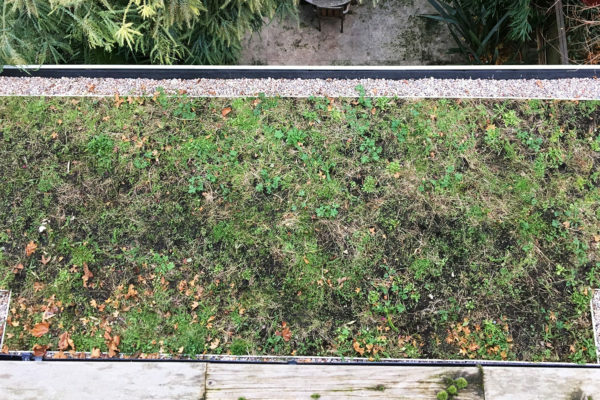 The main difference between the two in winter is that a maintained meadow roof will have had a cut – and quite an aggressive one too – in late summer. The summer growth will have been cut back to about an inch in height (ideally for the plants’ benefit it would have been grazed by livestock but that’s not usually an option! ), and while there may have been a second late-flowering period the growth will not be as lush as in May and June. Overwintering creatures love making use of seedheads left on plants, and clumps formed during the earlier growing periods can also prove hospitable for creatures during cold weather. For many clients, knowledge of the additional environmental functions a meadow performs often outweigh the variation of appearance especially after the sward is cut – and is more than made up for by the shock of colour that comes in early Spring onwards! Take a look at some of the pictures of our roofs in Winter. Please do get in touch if you have any questions. Choosing a planting type for your roof is really a question of form versus function. 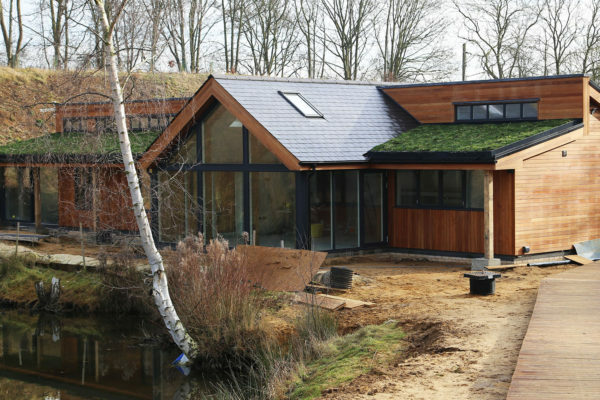 Home | Blog | What does a green roof look like in winter?